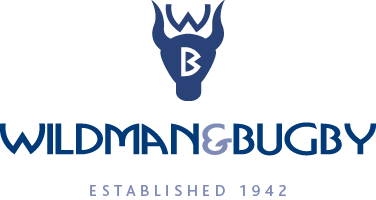 Established in 1942, Wildman & Bugby Ltd are an internationally recognised leather specialist. 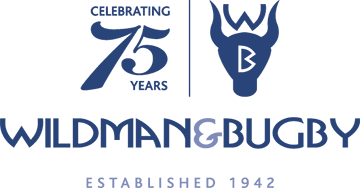 Proud to be a 3rd generation family business we are one of the UK’s largest stockists and suppliers of high quality upholstery hides to designers, architects, specifiers and manufacturers across the world. A combination of traditional experience with young and dynamic ideas, has helped our company evolve to meet the demands of our customers and maintain the highest quality, service and innovation. We supply a multiple array of companies, from the small independent upholsterers to some of the UK’s leading brands, design companies and manufacturers. Our extensive stock leathers have been specified and made into a diverse range of products from small pieces of furniture and bespoke design work right up to complete hotels, yacht interiors, airport lounges, automotive interiors and major chain restaurants to name but a few. All our tanneries are committed to quality and meet the BS EN ISO 9001 standards. Wildman & Bugby buy from responsible, reliable and sustainable sources with all due care and attention and would never knowingly buy from tanneries that mistreat animals in any way. The hides we buy are a by-product from the meat industry and fully traceable back to the tannery who declare that the leathers they supply us have been treated, tanned and are suitable for purpose. We take our environmental responsibility seriously. We are always looking at ways to improve our environmental sustainability and consider the environment in every business activity we do to prevent or minimise waste and recycle where possible. We not only have a showroom but we also have a show warehouse! Our company prides itself on a family feel and viewings are very welcome by appointment only. We invite you to experience Wildman & Bugby Ltd and see all our latest ranges under one roof.